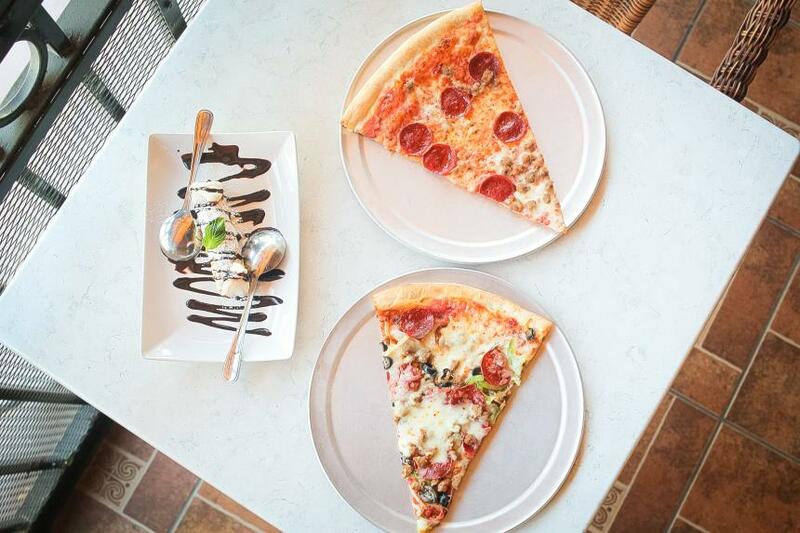 A neighborhood favorite, Cavalli serves wood-fired Neapolitan pizzas in a quick-serve format. This family-founded establishment is known for their chewy, smoky, and savory crusts. 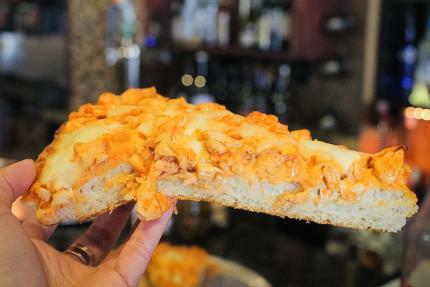 If you like a little bit of smokiness in your pizza crust, Cavalli is the place to go! 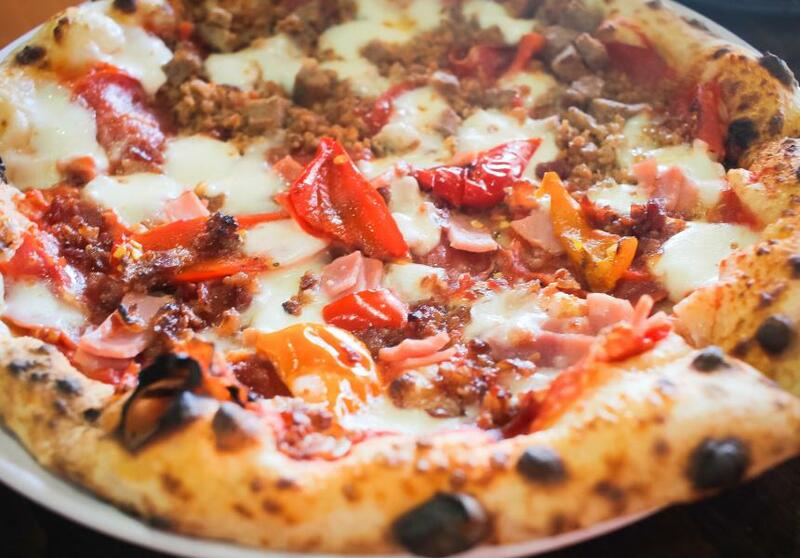 Must try: The Dallas (fresh mozzarella, homemade sausage, pepperoni) and Meat Trio (ham, spicy sopressata, bacon, sweet roasted mini peppers). For sides, go with their truffle fries! Yumm…View the full menu here. 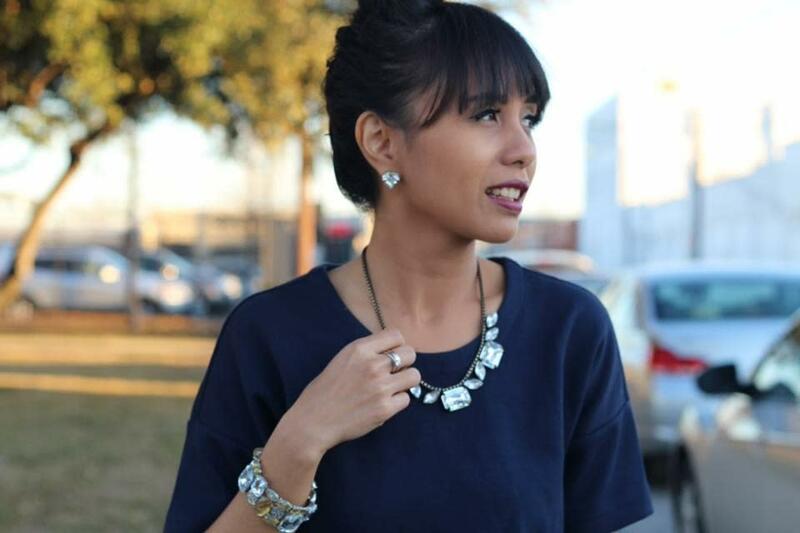 Located right in the heart of Historic Downtown Irving, Di Rosani’s is great for casual lunches during the day, and perfect for a bit more formal date nights in the evening. Traditional Neapolitan thin crust pizzas are served here with sizes ranging from 12” all the way to 24” (called the XXLarge). 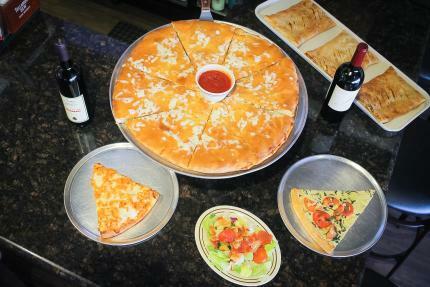 Pizzas by the slice are also available. Must try: Supreme Special (pepperoni, sausage, mushroom, green pepper, black olives) and Meat Lovers (ham, pepperoni, ground beef, grilled chicken). Di Rosani’s is a BYOB eatery, so feel free to bring your favorite bottle of wine to complement your dinner. Click here to view the full menu. 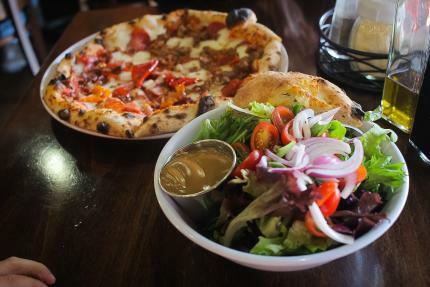 This is the kind of a local pizzeria where you would hang out and just get easily acquainted with the people in the neighborhood over a glass of wine and a slice of good New York Style Pizza Pasta. They have live music every Thursday night, and word on street is that their patio is going to get a major makeover soon! If you’re into a bready crust, this is the place to go! Must try: the White Pizza (garlic, mozzarella, ricotta), the Stuffed Pizza (literally a pizza in a pizza), and the Buffalo Chicken Pizza! Full menu is available here. 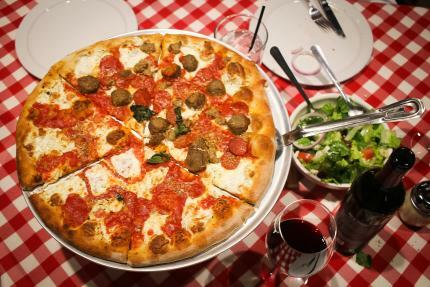 As one of the most well known pizzerias in the country, Grimaldi’s is an institution in and of itself. And they’re finally open in Irving by the Toyota Music Factory! We love its classic take on traditional pizza, using coal brick oven to achieve that crunchy crust with a ‘clean’ smoky flavor. The water used at Grimaldi’s makes all the difference too, as it is filtered in such a way to mimic the mineral of New York water. 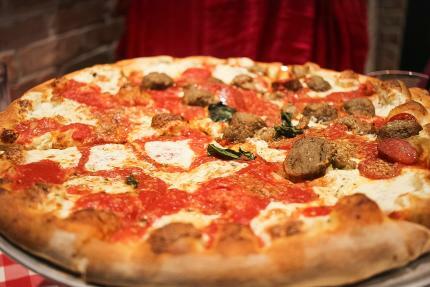 Must try: The Don (Italian sausage, meatballs, pepperoni) and Brooklyn Bridge (Roasted red peppers, creamy ricotta, Italian sausage). 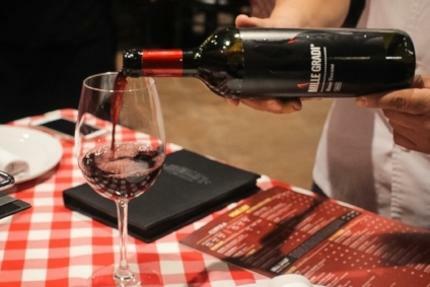 Their pizzas pair well with their own blend of wine called Mille Gradi Rosso Toscano. View their menu here.